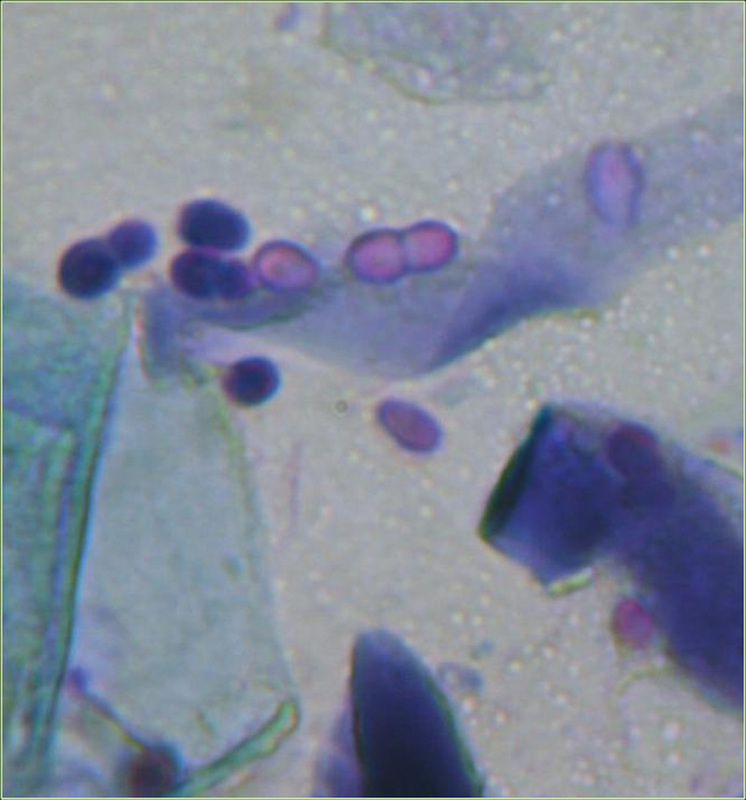 7) Round or cocci shaped bacteria. When allergy is present this normal inhabitant of the skin may overgrow. 8) Malassezia (yeast) organisms. When allergy is present this normal inhabitant of the skin may overgrow. 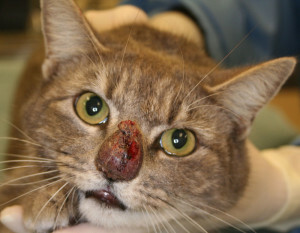 1) Cat fungal infection of the skin. 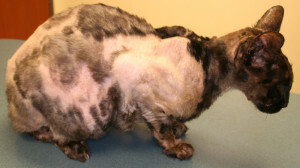 Photo of cat with hair loss. 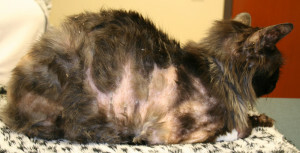 2) Cat fungal infection resolving—hair growing after four months of therapy. Photo of cat with noticeable hair regrowth. 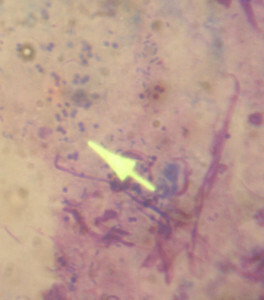 3) Cat systemic fungal infection. 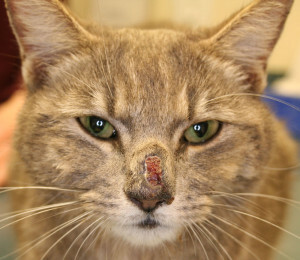 Photo of cat with swollen nose. 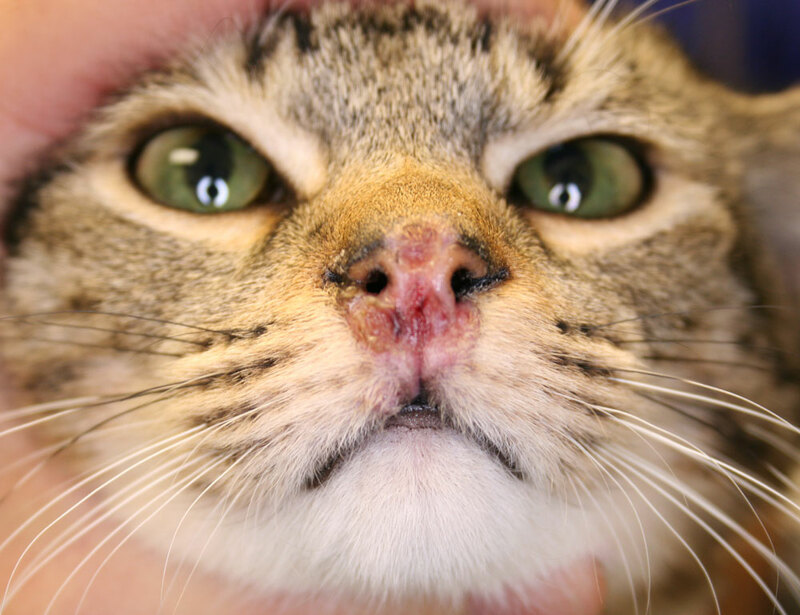 4) Cat systemic fungal infection—improving after one month of therapy. 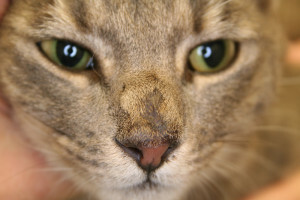 Photo of cat with small lesion on nose. 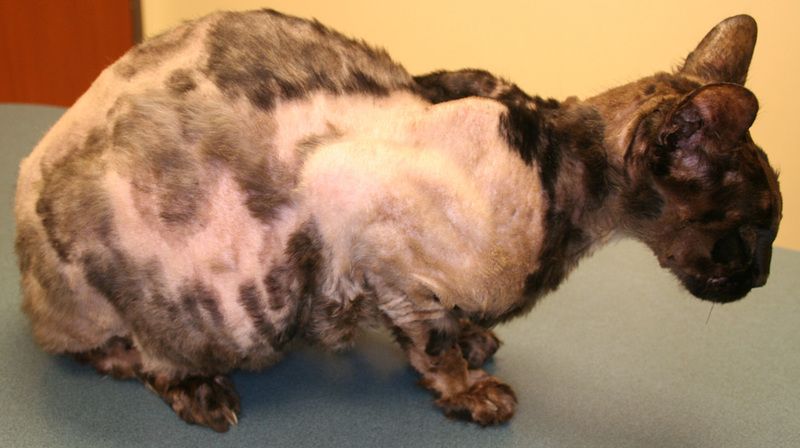 5) Cat systemic fungal infection—improving after four months of therapy. Photo of cat with hair growing on bridge of nose. 6) Cat viral dermatitis. Photo of cat with erosions on nasal planum.